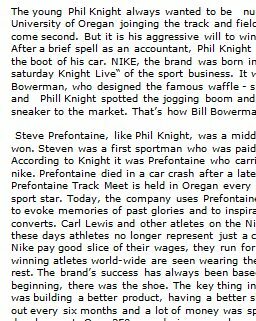 The young Phil Knight always wanted to be number one, but as a student at the University of Oregan joinging the track and field team, he only ran good enough to come second. But it is his aggressive will to win that permates the whole company. 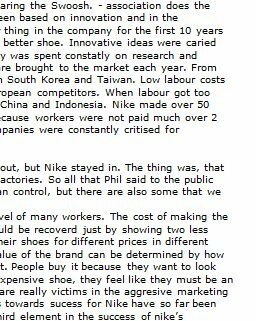 After a brief spell as an accountant, Phil Knight started selling running shoes from the boot of his car. 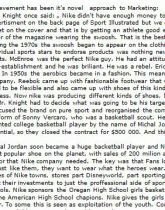 NIKE, the brand was born in 1971 and was soon known as „the saturday Knight Live“ of the sport business. 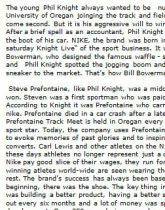 It was Knight’s college track coach, Bill Bowerman, who designed the famous waffle - shaped sole. 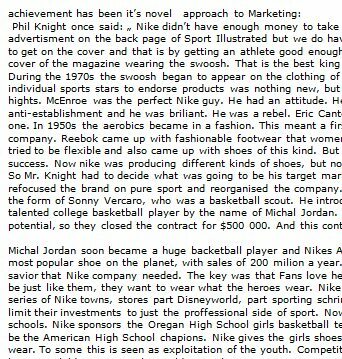 Togeter Bill Bowerman and Phill Knight spotted the jogging boom and brought a product called the sneaker to the market. 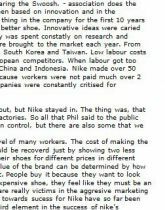 That’s how Bill Bowerman became the father of jogging.